Simply put, I make jewelry because I love making jewelry. I love the hammers and torches. I love the files, gadgets as well as the hand tools that I’ve crafted over the years. I love everything about designing and creating custom engagement and wedding rings. I also love sharing my passion for creating jewelry and I do so through traveling and teaching workshops and classes around the country. This past week I was teaching at the Creative Side Jewelry Academy in Austin, Texas. In my weeklong workshop that I call The Alchemist’s Workshop each student starts out with one ounce of pure gold. I then teach my students how to alloy different karats and colors of gold. 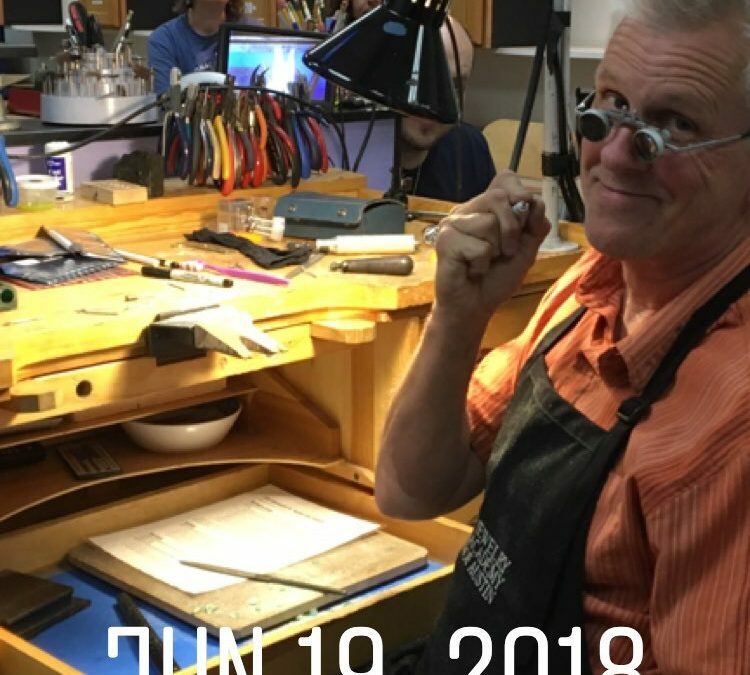 From there they mill their new gold into sheet and wire and finally I teach them how to fabricate their projects using gold solders and fusing. This class that I developed nearly 20 years ago focuses on two basic ideas. The first premise is to learn the various personalities of each metal that you alloy and the second is that you don’t always have access to a metal when you need it. When you learn to alloy you will have the skills to create nearly any metal you might need and when you need it. If you’d be interested in learning more about my workshops drop me an email and we can talk about the possibilities.